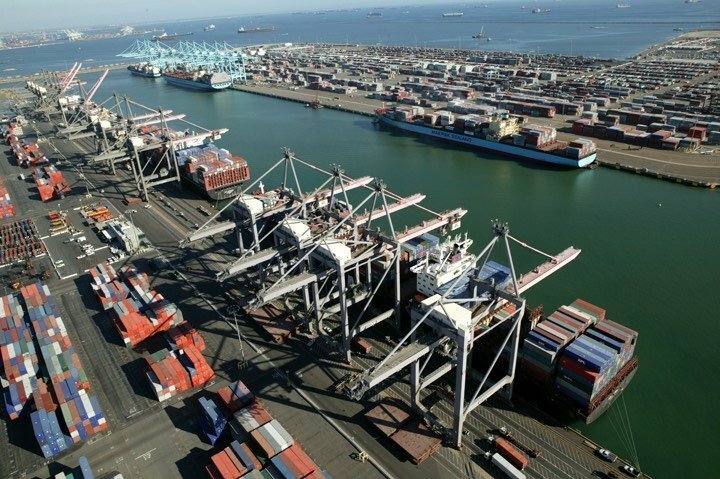 The US’ largest two ports, neighbouring Port of Los Angeles and Port of Long Beach, have released the draft of their proposed 2017 Clean Air Action Plan (CAAP) Update, targetting zero greenhouse gas emission from trucks and cargo equipment by 2035. It plans to invest $14bn over the coming years in new, clean-air technologies. That’s a pretty penny and the draft plan calls for the ports to increase funding advocacy and collaboration with partners. There are four prongs to the clean-air plan. First is the phasing in of clean-engine standards with the aim of eliminating diesel trucks within 18 years. Second is freight infrastructure investment to emphasize rail so that 50% of incoming cargo leaves the ports by train. Third is improving freight movement efficiency by the employment of a universal truck appointment system. Fourth is ramping up of terminal equipment electrification and improving energy conservation strategies.